Every so often there are trials that become so famous they grab the attention of millions of people from around the world. These are five of those cases from the last century and the early part of this one, where the drama was so immense that the world became enraptured. 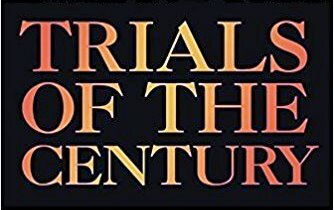 The first “Trial of the Century” of the 20th century only lasted eight hours, but it was a huge sensation because of who was killed. 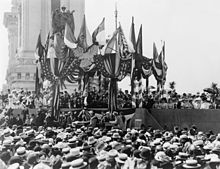 On September 6, 1901, President William McKinleywas standing in a receiving line greeting people at the Pan-American Exposition in Buffalo, New York. Suddenly, 28-year-old anarchist Leon Czolgosz shot him twice at point blank range, and McKinley died eight days later. Czolgosz came from a poor immigrant family and shot McKinley because he thought that McKinley only helped the rich. Czolgosz refused to talk to his two lawyers, two former State Supreme Court Judges, making it hard to come up with a defense. The trial started nine days after McKinley died on September 23, 1901 and Czolgosz didn’t testify in his own defense. He was found guilty and sentenced to death. He was executed on October 29, 1901, via the electric chair. In March 1924, Tennessee passed a law that made it illegal to teach the theory of evolution in schools. Obviously, not everyone supported this law, so John Scopes, a high school teacher in Dayton, and a local businessman named George Rappalyea conspired for Scopes to get charged for breaking the law so they could challenge the ruling. The court case attracted two of the country’s top lawyers, William Jennings Bryan, a three-time Democratic presidential candidate – who, incidentally, lost the 1900 election to William McKinley – volunteered to help the prosecution, while Clarence Darrow volunteered to help the American Civil Liberties Union (ACLU) in defending Scopes. The trial started on July 10, 1925, and attracted the attention of the country because it essentially represented what should be taught in schools – fundamental Christianity or science. The case didn’t start off great for the defense, because the judge opened each day with a prayer. Also, the defense wasn’t allowed to argue that the law was unconstitutional. Near the end of the trial, Darrow changed tactics. He called Bryan, who was helping the DA, as a witness to defend Christian fundamentalism. During his examination, Darrow embarrassed Bryan by making him say contradictory and ignorant statements over his literal interpretation of the Bible. In his closing statement, Darrow asked the jury to return a verdict of guilty so that it could be appealed. The jury spent eight minutes deliberating and returned a verdict of guilty. Scopes was fined $100, which was the minimum punishment. In 1927, the ruling was overturned on a technicality, but the law wouldn’t be repealed until 1967. The play (and later Oscar-nominated movie) Inherit the Wind tells the story of the infamous trial. In August 1969, the United States was shocked by the brutal murders of seven people in their upscale homes in Los Angeles. The most famous victim was actress Sharon Tate, who was the wife of film director Roman Polanski. She was eight-and-a-half months pregnant. What made the crimes even more shocking was the people who were responsible for the crimes. It was a cult-like group of hippies that consisted of pretty young women, led by a strange little man named Charles Manson. Due to the barbarity of the crimes and the weirdness of the culprits, the trial was a media circus. The members of the family that weren’t arrested showed solidarity by doing whatever Manson did, like carve Xs into their foreheads and shave their heads. At the courthouse, they would chant, sing, and treat the trial of the mass murderer like a picnic. In January 1971 Manson and several of his family members were found guilty and sentenced to death. The death penalty was abolished in 1972 and Manson’s sentence was commuted to life in prison. Just after midnight on June 13, 1994, O.J. Simpson’s ex-wife, Nicole Brown Simpson and her friend Ronald Goldman were found brutally murdered in front of Nicole’s condominium. A short time later, a warrant was issued for O.J. and he agreed to turn himself in, but then went on the infamous, slow car chase with his longtime friend, Al Cowlings. Eventually, Simpson was arrested and charged with two counts of first degree murder. Just some of the evidence the District Attorney’s office had against O.J. was that he had a fresh cut on his finger and his blood was at the crime scene. Second, there was a blood covered glove found on O.J.’s property. 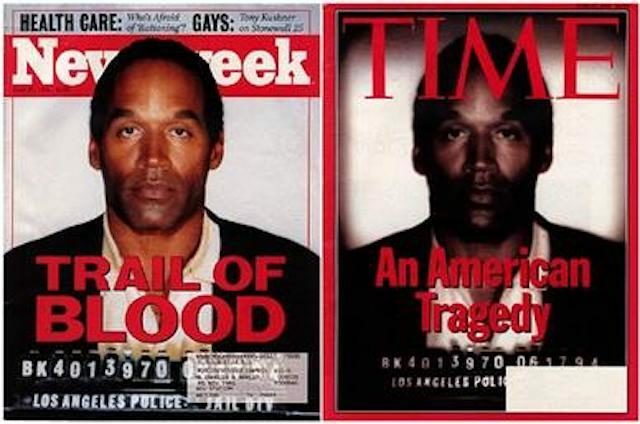 The blood belonged to O.J., Nicole, and Goldman. Third, there was a sock found in his bedroom that had his blood and Nicole’s blood on it. There was also a bloody shoe print found at the scene from a size 12 Bruno Mali, a pretty rare shoe, and O.J. wore size 12 shoes. Finally, the police had been called several times to the home of Nicole and O.J. because O.J. was an abusive husband. 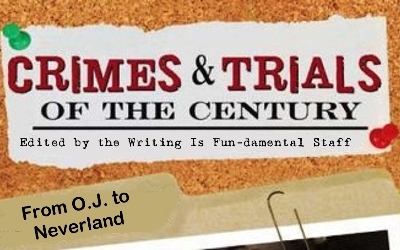 Of course, the evidence was only a small aspect of what became the definitive Trial of the 20thCentury. The defense’s strategy was to show that the Los Angeles Police Department had a history of systematic racism and had planted the evidence to set up one of the most famous African-Americans in the world. The trial essentially came down to the credibility of the LAPD. The DA pretty much had a slam dunk case, but all the defense had to do was create reasonable doubt by making it sound like it was possible that the LAPD could have set O.J. up because he was African-American. On October 3, 1995, the jury was back with a verdict. 150 million Americans tuned in, which was about 57 percent of the population. The verdict was, of course, not guilty. O.J. would later go on to lose a civil trial against Goldman’s family in 1997. Then in 2008, O.J. was convicted of robbery and kidnapping and he was sentenced to 9 to 33 years in prison. In the early 2000s, Michael Jackson was already the world’s most famous weirdo. Besides his odd appearance and strange personal life, since a civil suit in 1993, there had been rumors that Jackson was having inappropriate relationships with children. But things got worse for the King of Pop in February 2003, when a documentary called Living with Michael Jackson was released, and in it, Jackson talks about sleeping with children in his bed. The documentary led to a police investigation and on November 18, 2003, the day after Jackson released his greatest hits album, his home, Neverland Ranch, was searched. The next day, a warrant was issued and Jackson turned himself in on November 20. Jackson’s trial started on January 31, 2005, and the District Attorney didn’t have much in the way of physical evidence. Instead the case mostly rested on the accusations of one boy, a 13-year-old cancer patient. The DA said that the accusations fit a pattern, even though Jackson had never been convicted of sexual assault, or any crime for that matter. The trial lasted six months and it was a spectacle. Jackson’s odd appearance and outrageous wardrobes were interesting enough to attract millions of viewers every day. On June 13, nearly six months after the trial started, the jury unanimously acquitted Jackson of all charges. He ended up dying four years later on June 25, 2009. 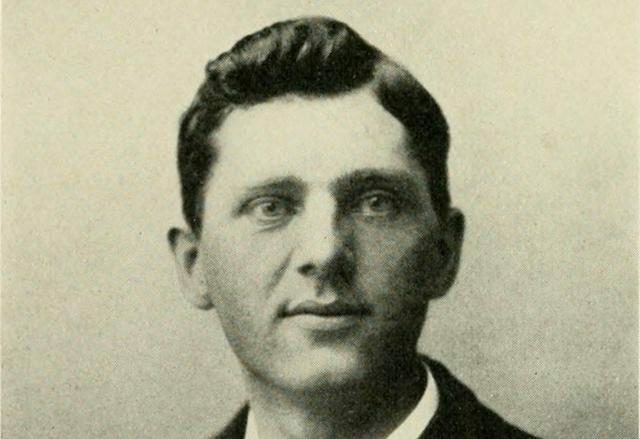 Leon Czolgosz stood in line and counted the people between him and the president of the United States. Nondescript, dressed in a dark suit, and wearing an innocent expression, Czolgosz (pronounced chlgsh) looked younger than his 28 years. He had waited for more than two hours in 82-degree heat on September 6, 1901, for his turn to shake hands with President William McKinley, who was visiting the Pan-American Exposition in Buffalo, New York. It was the first year of the new century, a perfect time to reflect on the nation’s rise in world prominence and to speculate on the future. 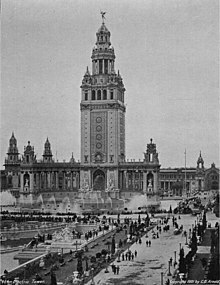 The exposition, a world’s fair that celebrated the Americas’ industrial progress and achievement, had attracted visitors from around the world. The event was more than halfway through its six-month run when President McKinley, the most popular chief executive since Abraham Lincoln, arrived. Cortelyou, always nervous about public receptions, tightened security as best he could. The people who wished to greet the president at the Temple had to file down a narrow aisle under the scrutiny of a special guard provided for the occasion. Outside, mounted police and soldiers controlled the massive crowd seeking entrance. Surrounded by his entourage inside the Temple of Music, McKinley enjoyed the opportunity to meet his admirers. Host John Milburn, the exposition’s president, stood on the president’s left, so he could introduce acquaintances to McKinley as they approached. Secret Service agent George Foster, the president’s chief bodyguard, usually held that position, but he found himself five feet away from the president and standing opposite him. To McKinley’s right stood Cortelyou, who looked into the face of each person as they came close to his boss. He intended to signal the guards to close the doors after 10 minutes to stop the parade of well-wishers and then rush the president on to his next appointment. President McKinley greeted each person with a warm smile and a handshake, pausing briefly to exchange words with any children who had accompanied their parents. The line moved quickly. Many in attendance held cloths to dab the sweat from their foreheads on the warm, humid day. As the waiting people shuffled forward, Foster noticed one man in line who had his right hand wrapped in a handkerchief. Foster wondered if it covered an embarrassing injury. McKinley saw the man’s apparent disability, and he reached to shake his left hand. Suddenly, Leon Czolgosz thrust his bandaged right hand into the president’s chest. Onlookers heard two sharp popping sounds, like small firecrackers, and a thin veil of gray smoke rose up in front of the president. McKinley looked confused and rose up on his toes, clutched his chest, and leaned forward. Members of his entourage moved to support the slumping president and help him to a nearby chair as the blood spread across his white vest. ‘Be careful how you tell my wife,’ McKinley said, his strength already waning. was a World’s Fair held in Buffalo, New York,United States, from May 1 through November 2, 1901. The fair occupied 350 acres (1.4 km2) of land on the western edge of what is present day Delaware Park, extending from Delaware Ave. to Elmwood Ave and northward to Great Arrow Ave. The event was organized by the Pan-American Exposition Company, formed in 1897. Cayuga Island was initially chosen as the place to hold the Exposition because of the island’s proximity to Niagara Falls, which was a huge tourist attraction. But when the Spanish-American War broke out in 1898, plans were put on hold. After the war, there was a heated competition between Buffalo andNiagara Falls over the location. Buffalo won for two main reasons. First, Buffalo had a much larger population — with roughly 350,000 people, it was the eighth-largest city in the United States. Second, Buffalo had better railroad connections — the city was within a day’s journey by rail for over 40 million people. In July 1898, Congress pledged $500,000 for the Exposition to be held at Buffalo. The “Pan American” theme was carried throughout the event with the slogan “commercial well being and good understanding among the American Republics.” Nikola Teslahad recently invented a three-phase system of alternating current power transmission for distant transfer of electricity. This allowed designers to light the Exposition in Buffalo using power generated 25 miles (40 km) away at Niagara Falls. McKinley’s last speech delivered September 5, 1901. Expositions are the timekeepers of progress. They record the world’s advancements. They stimulate the energy, enterprise, and intellect of the people, and quicken human genius. They go into the home. They broaden and brighten the daily life of the people. 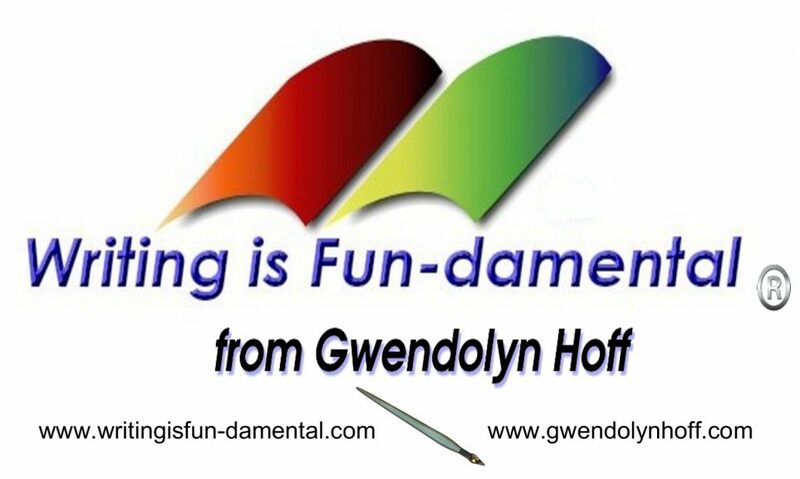 They open mighty storehouses of information to the student…. The newly-developed X-ray machine was displayed at the fair, but doctors were reluctant to use it on McKinley to search for the bullet because they did not know what side effects it may have had on him. Also, ironically, the operating room at the exposition’s emergency hospital did not have any electric lighting, even though the exteriors of many of the buildings were covered with thousands of light bulbs. Doctors used a pan to reflect sunlight onto the operating table as they treated McKinley’s wounds.